The original (and maybe only) blog that focuses on the restaurants and foods of the Lake Norman Area. I discreetly visit area restaurants and post my own unbiased reviews. I hope you enjoy. Bon Appetit! absolutely blown away. I've visited several times since then, and have never been disappointed. Now, just to get things out in the open, Verde is not just a Mexican restaurant. A sister restaurant of the spectacular Prickly Pear in Mooresville, Verde's website describes it as "Mexican and Latin Fusion." While this is accurate, it doesn't quite do the food justice. 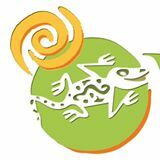 Their menu has a wide variety of Latin flavors, and the offerings have influences that range from Cuban to Brazilian to Ecuadorian. Yes, they have Mexican food (and it's excellent), but in some ways, it's almost seems like an afterthought as the menu spans a wide variety of differing Latin cuisines. With that said, my wife and I were seriously craving some steak fajitas the other day, so we packed-up our toddler (and all of her travel gear) and drove 10 minutes to Verde. For this this Daddy / Daughter date night, I chose Bad Daddy's for four major reasons. 3) They serve hot dogs -- my daughter LOVES hot dogs. 4) My wife is out of town and I was too lazy to cook. Last week I posed a link to this article on my Facebook Page. At first I just thought it was interesting. Then I realized that it might be the perfect solution to my dilemma. 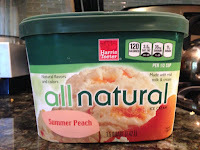 The Dilemma: My wife loves peach ice cream. This is not actually a problem -- I like it too. However, I've had a VERY hard time finding it. 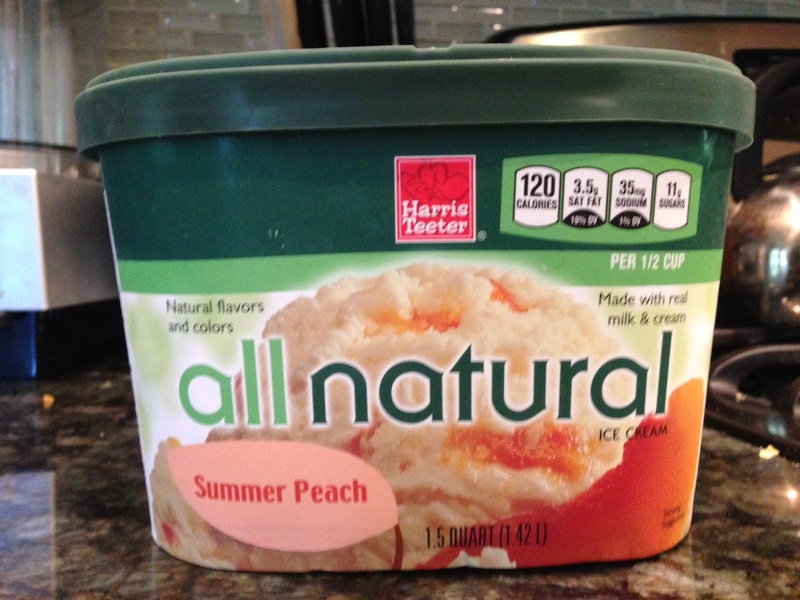 So, when I found the Harris Teeter brand Summer Peach ice cream, I thought I was in heaven. Unfortunately, it was the WORST ICE CREAM I EVER HAD. It was icy. It was chalky. It was so bad, I actually stopped eating it and threw it out. Solution: When you can't find what you want, you've gotta do it yourself. So, I followed the simple ingredient list (only 3!) and directions. Then I added chopped frozen peaches. The Verdict: ABSOLUTE YUM! The ice cream is very smooth and creamy. It is a little soft, and melts a little faster than "real" ice cream. But trust me, it won't be in your bowl long enough to melt. A container for freezing. I used a loaf pan. Click above to view the map of Foodie reviewed restaurants, including contact info and ratings. Copyright Lake Norman Foodie. Picture Window theme. Theme images by lisegagne. Powered by Blogger.